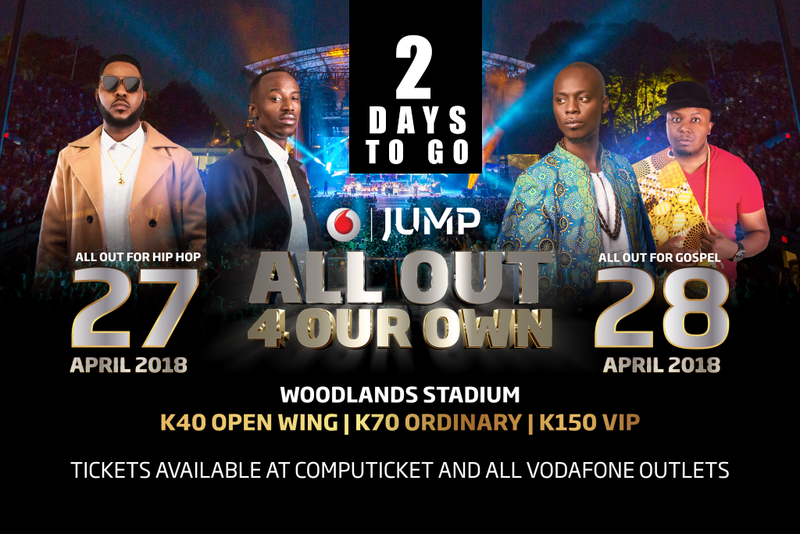 #AllOut4OurOwn Concert to Take Over Woodlands Stadium, 27th & 28th April! For years, we’ve embraced international acts more than our own and coming to fill that gap is Vodafone’s JUMP which has decided to make 2018 a year of celebrating our own with Zambia’s biggest musical experience tagged #AllOut4OurOwn that will debut in Lusaka at Woodlands Stadium on the 27th of April 2018 all the way to the 28th. 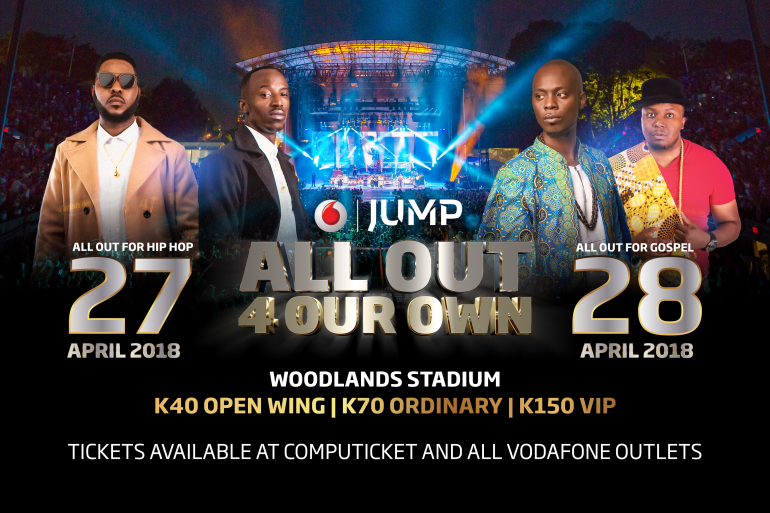 To be the first strictly local music event of this magnitude in Zambia, JUMP decided to make the #AllOut4OurOwn Concert a two days event, which means double musical experience for the music fans – Day One is dubbed ALL Out for Hip-Hop headlined by Zambia’s most renowned artists, Chef 187 and Slapdee. 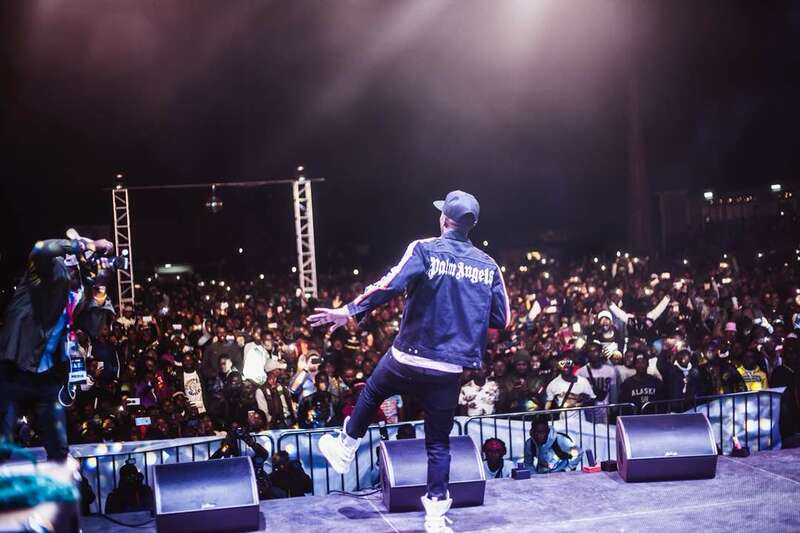 And Day two is dubbed ALL Out for Gospel headlined by Christian music kings, Ephraim and Pompi. Both events will feature support from many other local acts. This is a concert not to be missed! Let’s go all Out 4 Our own. It’s high time! Date: Friday, 27th & Saturday, 28th April. Tickets: Computicket (in all Shoprite stores). Black Lions (G Dax) ft. Mark Don - "Sister Move On"